Known for her bubbly personality and drive, Brynn Joachim works closely with each team to make sure our clients’ needs are clearly communicated, expectations are exceeded and goals are accomplished within budget. Brynn brings over 20 years of marketing experience in fields ranging from tourism to healthcare both in her home state of Mississippi and the New England region. What you may not know, is that she was also a former client of The Focus Group. Brynn was vice president of sales and marketing for Tradition Properties Inc., developers of Mississippi’s largest master-planned residential community, where she oversaw all advertising, public relations, events, social media and online activities for the 4,800-acre development. Prior to Tradition she served Harrison County as the marketing and commercial development manager for the Economic Development Commission marketing promoting the Mississippi Coast region to site selectors and businesses. A certified economic developer, Brynn was a featured columnist and speaker on regional economic trends and served on numerous trade association boards. She has created and implemented numerous marketing campaigns for convention and visitors bureaus, airports and attractions. Additionally, Brynn was director of marketing services for O’Neal & Prelle, one of the top 25 advertising agencies in New England, based in Hartford, Connecticut. Brynn has received recognition as a member of the Sun Herald’s “Top 40 Under 40,” Outstanding Young Careerist by Mississippi Business & Professional Women’s Association, Outstanding Regional Chairman by the International Council of Shopping Centers and Outstanding Board Member by the Boys & Girls Club of the Gulf Coast. She is also a graduate of Leadership Gulf Coast, Gulf Coast Business Council’s Master Class, served on the board of the Ohr-O’Keefe Museum of Art and is active in Coast Young Professionals and area chambers of commerce. Brynn currently serves on the Biloxi Little Theater Board of Directors as board secretary. A graduate of Louisiana State University and an avid (and we mean AVID) LSU Tiger football fan. Brynn is a Biloxi native where she still resides with her husband, Robert, and their two “four-legged” children, Scout and Beau. Brynn #funfact, she’s also collector or PEZ, from vintage to Star Wars, she has quite the collection in her office. Brynn is a key component to Wild American Shrimp as the lead account executive on the project. She handles all aspects of PR planning, media placement and on-task deliveries. Wild American Shrimp is a passion project for Brynn because she’s also a fantastic cook and self-described foodie. Most weekends at dinnertime you can find her on Twitter and Instagram talking food, ingredients and wine, while she shares some of her own fantastic creations. This makes Brynn a natural talent scout for our world-class Wild American Shrimp Chef Advocate Program and our recipe development outreach program. 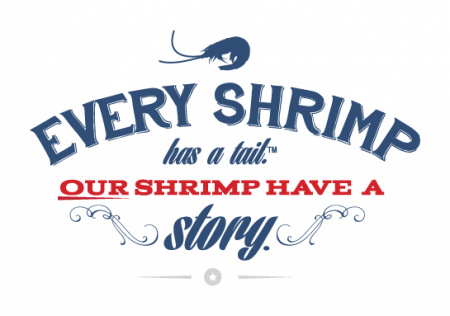 Every shrimp has a tail; but our wild-caught, American shrimp have a story that is rich with flavor, history and adventure! 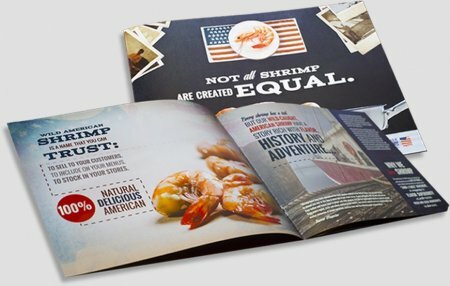 It’s also a story of hard-working, shrimp industry families that dates back to when shrimp were harvested on wooden sailing vessels and peeled by hand. It’s the story of American jobs, livelihoods and an industry’s resilience against disasters and tough times. Beyond the history and heritage, it’s the story of an all-natural, healthy food that travels directly from the warm, nutrient-rich waters of the Gulf of Mexico and South Atlantic to your table. It’s the story of new processing technology that suspends freshness until cooked. And best of all, it’s the story of what top chefs around the world agree are the best-tasting shrimp!